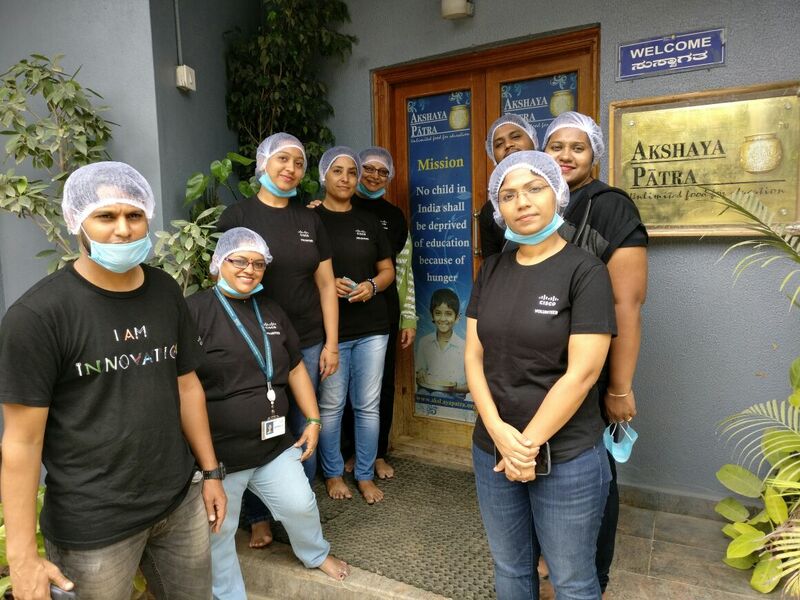 Bangalore: As part of its global efforts to support nonprofit organizations around the world that help meet critical human needs, Cisco today announced an agreement with Akshaya Patra Foundation which will be accelerating digitization of their kitchens across 7 locations in India. Akshaya Patra Foundation is the world’s largest (non-profit) mid-day meal programme serving wholesome food to over 1.66 million children from 13,958 schools across 12 states in India. Digitization of Akshaya Patra kitchens and key offices will help them realize significant gains in productivity, scalability, and cost-efficiency and accelerate Akshaya Patra’s goal to reach 5 Million children by 2020. As part of this agreement, Cisco will deploy an enterprise-grade network and collaboration suite connecting their kitchens and their offices by enabling end to end IT & process digitization. The upgraded Akshaya Patra network will connect their offices in Bangalore, Gurgaon, and field kitchens across 7 locations (2 kitchens in Bangalore, one each in Lucknow, Vrindavan, Bellary, Guwahati, and Jigani) on a single network which will enable them to efficiently track their kitchen production, distribution, supply chain and logistics. Through digitization, Akshaya Patra will have faster and better connectivity in their field offices which is critical to the kitchen’s operational performance, and necessary to support virtual collaboration and knowledge sharing. In addition, Akshaya Patra can now analyze, and operationalize disparate sets of data in near real-time helping them to improve the overall speed, security and responsiveness of the programme. This digitization effort is expected to increase Akshaya Patra’s operational efficiency by about 5% in the initial phase, which will help them extend the mid-day meal program to over 28500 students everyday immediately. Cisco has been associated with Akshaya Patra since 2007 through employee giving, volunteering and disaster relief assistance. In the aftermath of the 2015 Chennai floods, Cisco sponsored Akshaya Patra’s first kitchen-on-wheels. The kitchen-on-wheels can run around the clock, with un-interrupted power supply to provide 2000 meals every two hours when stationed at any site post a disaster. In the aftermath of the recent floods in Gorakhpur, this kitchen generated about 100,000 meals.